Gionee is coming out with lots of budget Android smartphone with high specs. The latest in this series is GPad–G2 which is a 5.3-inch quad-core Android phablet. Few of the highlighted features of the Gionee G Pad-G2 are 1.2 GHz quad-core processor, 8MP rear camera, big battery and Yamaha speakers. The GPad-G2 at 9.9 mm is powered with a 1.2 GHz Quad Core Processor, 5.3” Inch QHD True Color display and Android 4.1 Jelly Bean OS. GPad-G2 has an 8 Mega Pixel Auto Focus with LED flash back camera having 720p video recording capability and face detection. Gionee GPad-G2 sports 1GB RAM and 4GB internal memory which is expandable up to 32GB using memory card. The Dual Sim, Dual Standby GPad-G2 is powered by a massive 3000 mAh battery. It is having an in-built Digital Theatre System (DTS) Sound powered by Yamaha. 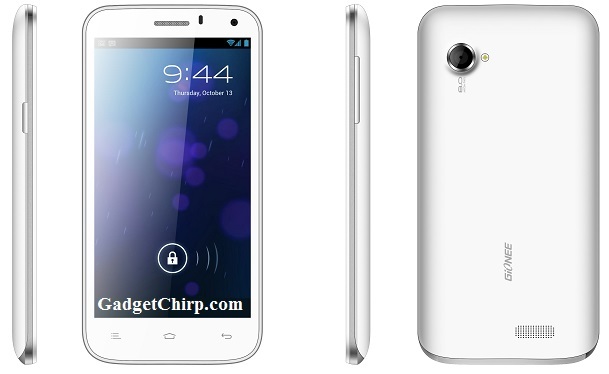 The full specs and features of Gionee GPad-G2 is given below. Gionee GPad-G2 will be available in Grey & White color and comes bundled with a 16GB Memory card, Navigation Flip leather case and Screen Guard. GPad-G2 will be available at leading mobile retail outlets across the country by first week of May 2013.